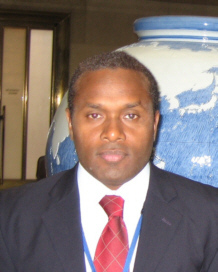 As a Solomon Islander studying, living and working here in Japan for the past 7 years, would like to express my sincere appreciation and heart felt gratitude for all that Japan has offered to the Solomon Islanders living here. Japan is a well advanced and a developed country. Being part of this society for the past years, I learnt that it has much to offer to a country like ours. Beyond doubt Japan has been helping us in many ways. The Japan Solomon Islands Friendship Association is one of the outcomes of the heart that the Japanese people has for our country. I belief that through the establishment of this association the nderstanding between the two countries will be deepen like never before. I would like to commend the initiators, founders and the members of this association for the marvelous job that has been done so far. As a Solomon. 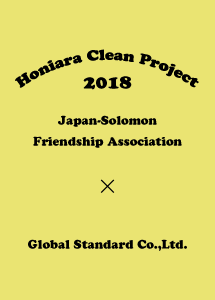 Islander, being part of the associations meetings brings me hope that one day the understanding between the Japanese and Solomon Islanders will flourish. And it is my wish and prayers that the people of both countries will build a long lasting friendship and partnership that will help us venture into the twenty first century.